Weekend Open Forum: What kind of television do you have? I recently had to replace the second-hand television in my bedroom. I’d purchased it from a friend a few years back after it developed a series of vertical lines on the right side of the screen and he no longer wanted it. I was able to overlook the visual distractions but when the backlighting failed and I could no longer see the left side of the screen, I knew it was time to replace the set. I don’t watch a lot of television – the set in my living room hardly gets used unless I have friends over – but I do enjoy watching late-night talk shows or the occasional Amazon Prime movie at night before I fall asleep. I ended up getting a 42-inch (1080p) Insignia LED set for just shy of $400. It fits perfectly alongside the HTPC opposite of my bed. 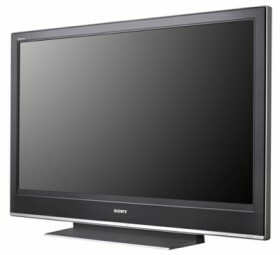 With this week’s open forum, we want to know what kind of television you have. Does size / brand matter or do you prefer a specific set of features / price point?